Buy Amanda Solomon a Coffee. ko-fi.com/asolomon018 - Ko-fi ❤️ Where creators get paid by fans, with a 'Buy Me a Coffee' button. Hello! 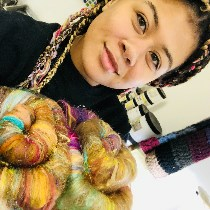 My name is Amanda and I am a fiber artist/farmer! I create art inspired by women. 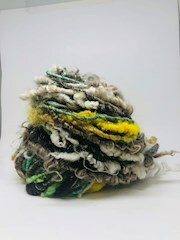 I'm known for my boho inspired handspun and textured art batts. Secured Payments. Support goes to Amanda Solomon's account. $45.00 Tinder Date Picture yourself up swiping right without looking, just taking a chance! With this option, I have the chance to spin up whatever I like and send it to you. This could be from one of the other skeins offered now or something I cooked up extra special. You never know! $45.00 Emerald My green colorway! This also varies between dark and light shades. My inspiration for this are gardens with bright flowers in it. The locks reflect that, so be in for a surprise of color in that section! 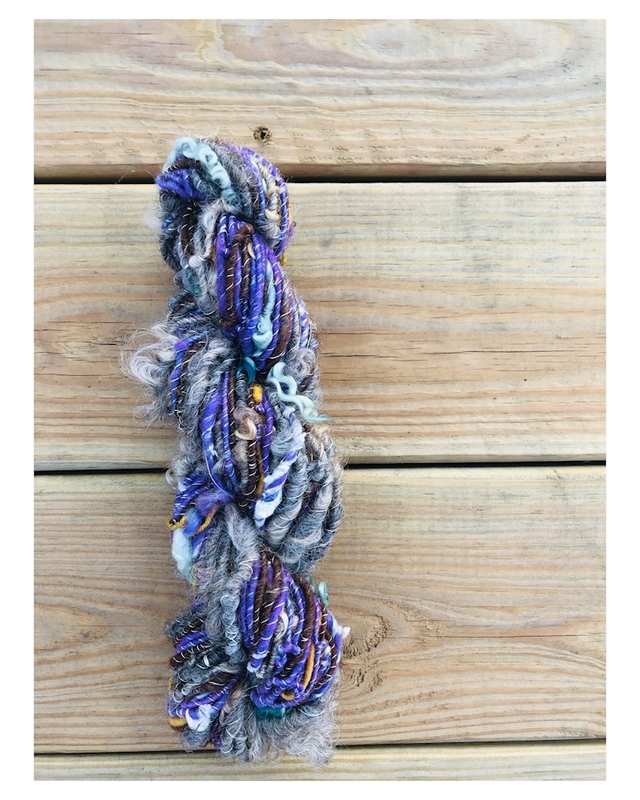 $45.00 Amethyst A neon/lavender toned boho yarn that is not spun on a core. Instead this is usually a Dk and up weight yarn soun on itself with beautiful longwool lockspun right in it. 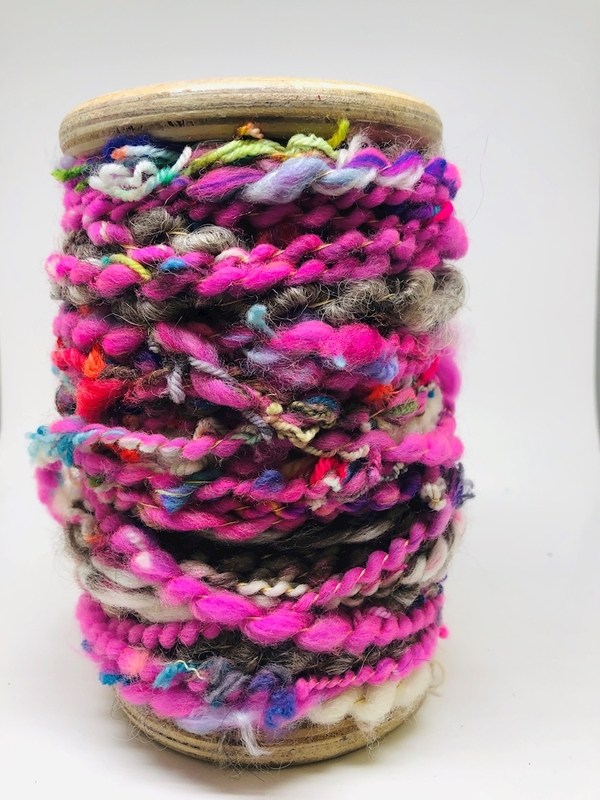 Also expect a stripe of color hidden within the handspun for a pop of color. $45.00 Tiger Eye Mustard! I created my own mustard color that I am in love with! I put it into a skein and usually pair it with either bright blue locks or dark green locks for an amazing contract. This one if one of my favorites! $45.00 Scrap Yarn Don't worry you don't have to send any scraps in for this one! I do all the work for you! 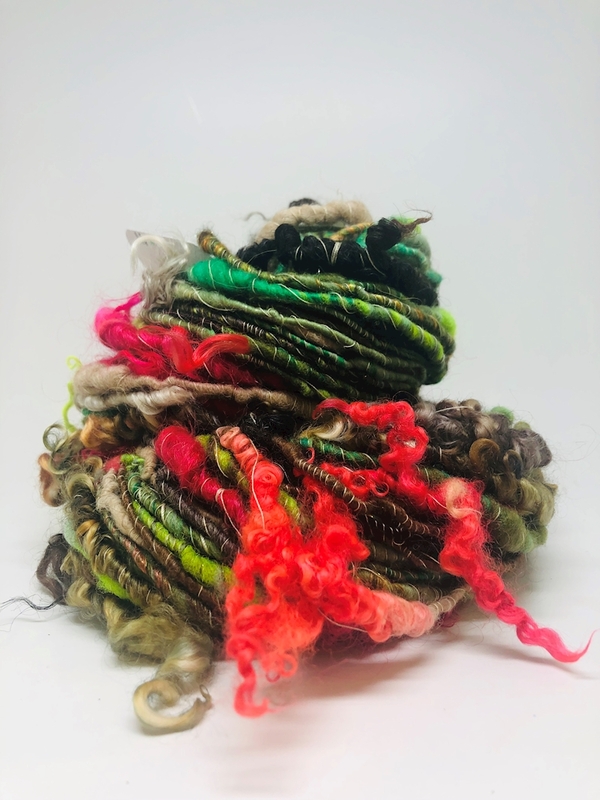 I will create a custom batt just for you and spin it up with some beautiful lockspun and other amazing fibers. Expect bright colors that will be in the rainbow range. This yarn is also plyed so expect a super bulky texture! $85.00 OTR 2 batt collection This is a little something extra in doing this month/beginning of April. They will be an 8 oz set of 4 different batts. All themed after the on the run tour with Beyoncé and Jay z. You really have to trust me on my color choices and be up for a true surprise. This is going to be limited edition! I will charge for shipping once they are ready, so please provide your PayPal email! I need for you to be up for a bit of a surprise! 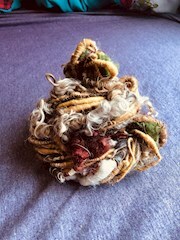 Each time I create a handspun it will never be like the one before, making your's truly unique. Each of them will be over 60 yd at least! I spin till my bobbin is full. 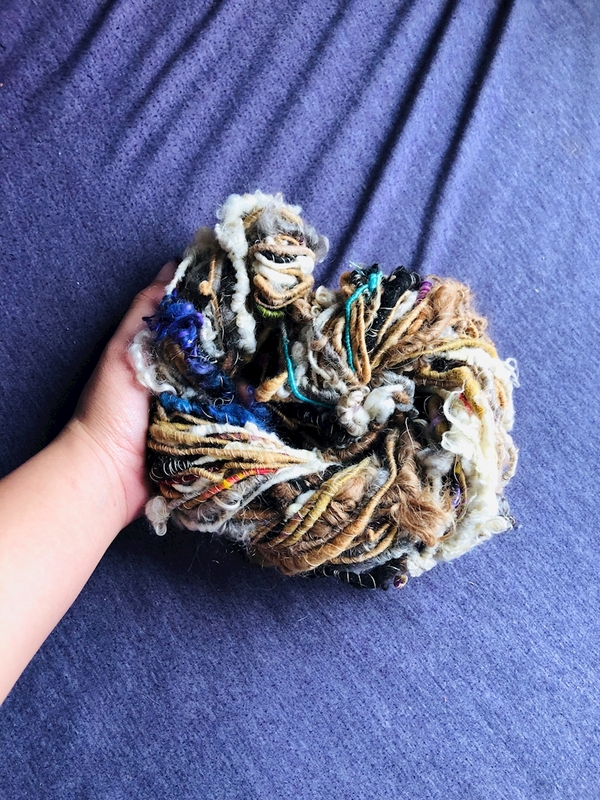 If you want enough yarn for a large project, please buy more than one handspun. If you also buy more than one at a time, each skein will mostly likely be the same vs different. Expect it to be about a week to two weeks. As soon as I get an order, I will spin it up! I have no intention of keeping you waiting! Let me have your PayPal email and I will bill you for shipping once I am done spinning and setting your beauty!